What’s in store for you for the rest of the year? Reblog to let us know! This is a post by PumpUp member naturallykai. With the motivation from the pumpupapp, she was able to reach her goal weight for her wedding! Check out her excellent YouTube channel. I’m kicking off the year by discussing health and fitness. Health and fitness are two areas of life that can be challenging for many, so I hope to inspire you to continue or start your very own fitness journey. If you are starting or continuing a fitness journey, use the hashtag #gethealthy2015 to share your experiences! Post by Siya Natseva. 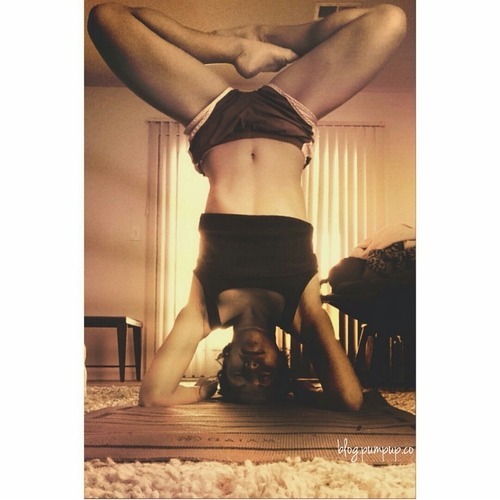 Follow Siya on her blog, PumpUp (@cinnamonontop), and Instagram/Tumblr cinnamonontop8. With January almost out the door, is it possible to still set some reasonable health goals for yourself? My resounding ‘Yes’ may have something to do with procrastination on my side this year! Let’s briefly run through my the pitfalls of New Year Resolutions and how to prevent failure. I’ve never been fond of New Year Resolutions. They’re among those silly rituals people pretend to follow to give themselves a sense of purpose. The mantra whereby you actually do without vowing to do is, in this author’s view, as efficient as they can get, and my choice to start anew in January has little to do with world’s obsession with New Year Resolutions. Why do most New Year’s Resolutions fail? In startlingly many cases, people aren’t committed to resolutions that they’ve made. The group mentality of the human race – which I’m happy to say rarely affects me - dictates that when a large number of people participate in something, it’s also expected of us to partake. And so, on an annual basis we are faced with the fateful moment of promising to quit smoking, start eating healthily and chasing after that dream job. Whether we truly believe in our goal and intend to work towards it is beside the point. Come November, this momentum wanes, creating a domino effect upon resolution-makers. Although the start of a new year sounds like the perfect time to rectify past wrong-doings, it’s also the worst. Having the blues in January is nothing short of customary. The anti-climax of the New Year hits hard and exercise, for example, is the least of our concerns. When January rears its head, everyone is back in the office and companies set business objectives for the next 300-something days. It’s hardly helpful the days are short and darkness veils us at four pm. With stressful schedules ahead, it’s easy to understand why January isn’t the right moment to commence a journey of any sort. These factors soon lead to reduced levels of enthusiasm. Routine settles comfortably behind the steering wheel and self-reassuring statements, the likes of ‘It’s different now’, fly out of the window. Before we know it, it’s March and we’re yet to conquer planning meals, hitting the gym, embracing a positive attitude. Either that, or come March – after a string of gym visits and healthy eating – we’re tired of it, consider we can’t keep it up and give in. As much as I say no one should rush into anything without studying it, there’s no time like now. It may be January 5th, or February 2nd. If you decide to go ahead with your fitness journey – or return to your programme after a setback - you should. Often, the longer you rationalise and analyse, the more convinced you become it’s unsustainable. There’s no reason why you shouldn’t put your trainers on and run in the park for 20 odd minutes. There’s no reason why you shouldn’t do a few sets of core exercise in the comfort of your home. Right now. Not tomorrow. Not next week or next month. Now. If you’re like me, once you set yourself a task, you have to see it through at any cost. This zealous outlook frequently causes me unhealthy doses of stress. Working out is no exception, yet research shows that stress is immensely counter - productive to our health journeys. Instead of beating myself over the inability to exercise due to, say, exhaustion, I should see it as a motive to do superbly tomorrow. Naturally, it’s seldom the situation. I’m not advocating for the absence of passion and discipline here; I’m saying that an overly driven approach may sometimes be disadvantageous. Think of your health as an investment. The elements that compromise it, such as exercise and wise eating habits, will enable you to lead a fulfilling life. Try assessing them as a part of the whole, not separately. This way you won’t focus on how much you dislike sports, for example. It’ll be about your overall journey to a better you; a you that is content in the knowledge that your body is cared for. Remember the mental passage, too. No physical change will materialise, if you don’t welcome the voyage of the mind. And the voyage of the mind isn’t pinned down to a single date on a calendar (January 1st). It’s a life-long pledge: one that has to be driven continually but can start at any hour, on any day, in any year. Happy Resolutions! If you can turn your New Year’s resolution into a lifestyle, you're on the right track. This is a post by PumpUp member fitnessriss (@carissamarie2 on the pumpupapp). I see the promise that comes with a New Year’s Resolution, but I believe that a resolution is something you make permanent. We tend to make a resolution and fall back on it or we try for a while, then we forget, and come up with new resolutions that go through the same circle. If you can turn your New Year’s resolution into a lifestyle, then you are on the right track. Most resolutions are directed towards health, fitness, and overall wellness – which are ideals that should last, because a healthy lifestyle is the right lifestyle. My resolution is to become fully vegan and keep bettering myself in yoga, meditation, reading, writing, and drawing; all of which I love and hope to commit myself to. Another resolution that is more personal for me is to look at myself with more admiration and only see beauty, instead of thinking negative thoughts about my body or my appearance. Your resolution should be one that will help you to see more clearly. Your resolution should be something you’ve wanted to do all your life, if you’ve been telling yourself that you want to draw or play an instrument. Do it. Nothing and nobody can stop you from achieving exactly that. If it’s to lose 10 pounds, do so, but keep eating right and making those healthy decisions. If you say that you’re never going to drink again, that’s amazing, keep that dear to your heart, because it can only benefit you. School, work, family are all important aspects of life, but your happiness and accomplishing goals or changing your life for the better is even more important than anything. If you’re not doing what you love, you’re not truly living. Set a resolution that is going to help you grow, open your mind, feel healthier, and soften your soul. If we keep our healthy resolutions it can branch off into something larger than life and inspire the next generations to do the same; little by little creating healthier lives everywhere. Post by PumpUp member @jennoshealth. Follow her journey on her fantastic blog! 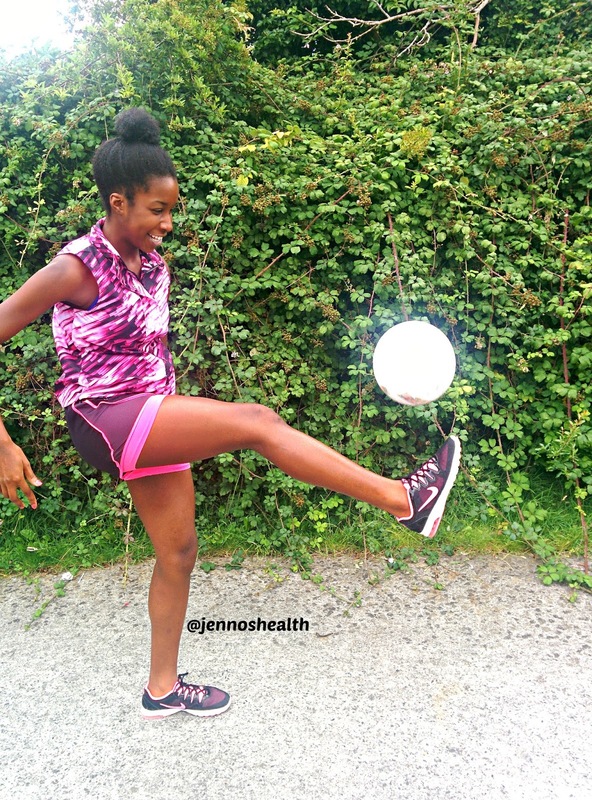 A healthy lifestyle is for everyone: regardless of age, weight, belief, height etc. It's never too early nor too late to start eating and living right. Add, don’t take away. A lot of people think they need to cut out foods/drinks. It’s easier and realistic to add more nutritious foods than take away the bad ones. Try adding a fresh fruit to your dessert before totally cutting out the meal. It’s a lifestyle not a diet. Ask questions. We’re human: we mess up and we don’t know everything. Therefore, we should thirst to know more about Health & Fitness. Your lifestyle change will be effective when it is informed because you know exactly what and why your doing what you do. To start, immerse yourself in YouTube videos and articles about healthy living. Set mini goals. You’re more likely to attain smaller goals than one end goal. When you accomplish a small goal you’ll feel more inspired to complete the next one and the next. This next stage in your life will more likely be a lifestyle change rather than a transient phase. Instead of telling yourself that you will “lose 15 pounds”, a more realistic goal would be Try go on each cardio machine in the gym for 15 minutes 3-4 times a week. Catch my drift? When I lost all of my excuses I found all of my results. Motivation doesn’t last, determination does. You need to find time in that hectic schedule of yours, after all it is your health and you are responsible. No gym? No problem! You have all you need there are tons of free workouts eg. PumpUp out there. People didn’t post it for the good of their health, they did it to help you! I hope this comes in handy when you start that healthy lifestyle. It isn’t difficult at all, tons of people are doing it so why aren’t you?